Help rescue 60 military families in need by giving each veteran and their family 10 free counseling hours. That’s just $600 to provide a full program of life rescuing support to each veteran and the veteran’s family, a $60 donation covers the cost of 1 hour of counseling. All donations, no matter the amount, make a difference. 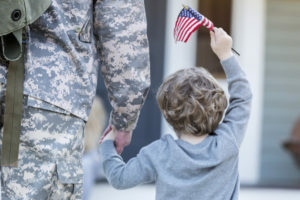 Veterans and especially their family members experience barriers to help and suffer from poor access to professional counseling services that address the needs of the entire family. We are changing that with help from people like you. For nearly 10 years, our counseling centers in Port Orange, Daytona Beach, and Ormond Beach have provided life saving support to military families. We provide research based, effective counseling to veterans as well as their husbands and wives, mothers and fathers, and sons and daughters. Because the stronger the family unit, the better for everyone. Each donation of just $60 = 1 hour of free counseling. 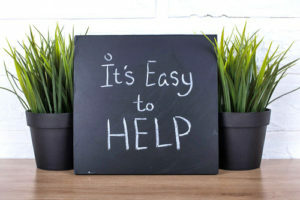 Our goal of $36,000 = a total of 600 free counseling sessions in 2019. That is at least 60 families! We need your help today so that veterans and their family members can find peace and hope. Our counseling centers value the Christian tenets of faith, hope and love. All are welcome no matter their beliefs and our team of licensed counselors and therapists offer a complete range of therapeutic services. The Open Doors Counseling Network is a veteran run 501c3. Founder and Licensed Mental Health Counselor Russell Holloway (MS, LMHC, NCC) is a combat veteran, having served in the U.S. Army’s 2nd Armored Cavalry Regiment, 2nd Squadron in the Persian Gulf.